22 May, 2018. Edinburgh, Scotland, UK. 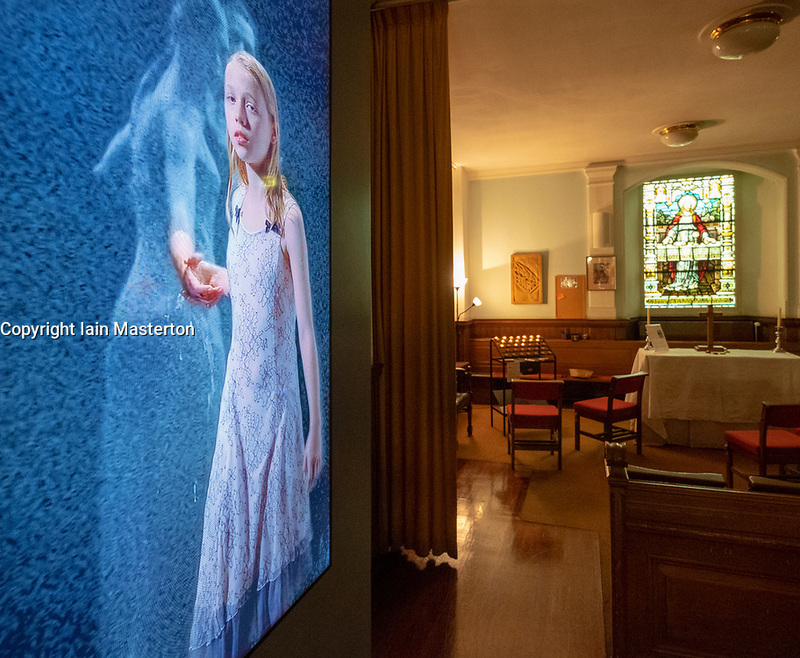 Video installation "Three Women" by Bill Viola at St. Cuthbert's Parish Church in Edinburgh. Although on display since 1 May, the display has not been publicised until this week.